The Office of Strategic Planning and Accreditation at Guttman Community College is responsible for matters relating to College accreditation by the Middle States Commission on Higher Education and the New York State Board of Regents. It also coordinates and guides Guttman’s strategic planning and its participation in the University’s Performance Management Process. Stella and Charles Guttman Community College of the City University of New York is accredited by the Middle States Commission on Higher Education, 3624 Market Street, Philadelphia, PA 19104. (267-284-5000). Guttman Community College was formerly New Community College at CUNY (2013 and prior years). The Middle States Commission on Higher Education is an institutional accrediting agency recognized by the U.S. Secretary of Education and the Council for Higher Education Accreditation. Guttman Community College’s next evaluation visit is scheduled for 2020-2021. A small team led by Provost Howard Wach was invited to attend the Middle States Self-Study Institute in November 2018 to begin the process of designing its self-study. June 22, 2017: To grant accreditation. To request a monitoring report, due September 1, 2018, documenting further evidence (1) that faculty and/or other appropriate professionals are provided sufficient support for professional growth and are reviewed regularly (Standard III); (2) that the institution supports and sustains the assessment of student achievement and communicates results to stakeholders (Standard V); (3) of comprehensive planning for facilities, infrastructure, and technology that includes consideration of sustainability and deferred maintenance and is linked to the institution’s strategic and financial planning processes (Standard VI); and (4) of the implementation of a clearly articulated and transparent governance structure that outlines roles, responsibilities, and accountability for decision-making by each constituency (Standard VII). A small team visit may follow the submission of the monitoring report. The next Self-Study Evaluation is scheduled for 2020 – 2021. November 20, 2014: To accept the Accreditation Readiness Report and to note the visit by the Commission’s representatives. To grant Candidate for Accreditation status, and to invite the institution to initiate self-study in preparation for an evaluation visit in 2016-2017. To note that Candidate for Accreditation status is an indication that the institution is progressing toward, but is not assured of, accreditation. On June 21, 2011, the New York State Board of Regents approved an amendment to the long-range master plan of The City University of New York authorizing the establishment of Stella and Charles Guttman Community College (then known as New Community College at CUNY) in the Borough of Manhattan and authorizing the College to offer associate degree programs initially in the five discipline areas noted below. Associate in Applied Science (A.A.S.) in Information Technology. The City University of New York follows a Performance Management Process (PMP) that links planning and goal setting by the University and its colleges and professional schools, measures annual progress towards key goals, and recognizes excellent performance. As a member of the New Community College at CUNY planning team since 2009 and a Deputy to the Project Director, he helped guide the process that led to approval by the CUNY Board of Trustees and the New York State Department of Education (NYSED) of the Application for Opening a New College and Proposal for the Initial Programs of Study (February 2011). Since 2012 he has overseen extensive work developing plans for assessment (both student learning outcomes and institutional effectiveness) and preparing for an accreditation site visit by NYSED that led to a vote to accredit in December 2012 by the Board of Regents. 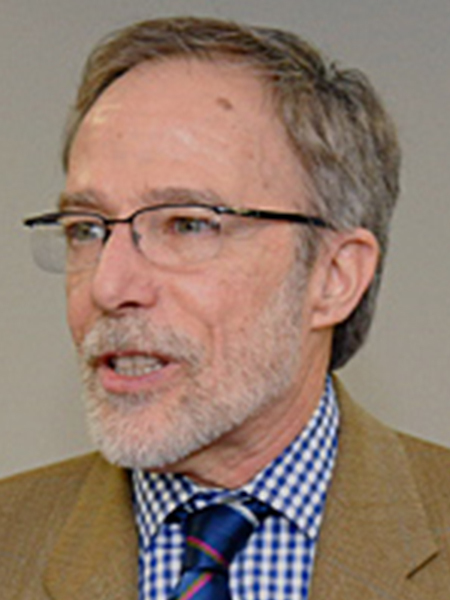 As the Middle States Commission for Higher Education’s accreditation liaison officer (ALO), he oversaw the development of accreditation readiness reports (2013, 2014), a self-study design in 2015, and as co-chair of the Steering Committee the two-year self-study process that led to a site visit by an evaluation team in late March 2017. In June 2017, the Middle States Commission voted to accredit Guttman Community College with a monitoring report due September 1, 2018. With senior staff, Dr. Cochran leads the College’s strategic planning, including its Performance Management Process goal-setting, and served as Secretary to the Guttman College Council from 2012 through 2017. Upon approval of the new governance plan in 2017, he convened the implementation team that oversaw elections for the Council, its standing committees, the Academic Senate, and Personnel Committees all of which were effective February 1, 2018. Prior to his work at the College, Cochran served as the Director of Research and Evaluation for CUNY Collaborative Programs in the Office of Academic Affairs. In that capacity he helped design and oversee the conduct and reporting of quantitative and qualitative research on academic programs including College Now, the Middle Grades Initiative/GEAR UP, and CUNY Prep. He joined Collaborative Programs in 2000 as a co-director of Looking Both Ways, a professional development project for writing teachers at CUNY and New York City public schools. He earned his master’s and doctorate in English with a certificate in American Studies at the CUNY Graduate School and taught for ten years at Queens College at both the undergraduate and graduate levels.